If you happen to be a fan of Conan and travel a lot, then AirBnB has an ongoing promotion that could be up your alley. In keeping with the late-night talk show’s brand of humor, a winner and guest could get the chance to sleep in the rafters of the Burbank-based Conan studio. Participants have to enter by June 1 and the winner (and their guest) will get to stay in the luxurious rafters of Studio 15 June 3-June 4. Not only that, but they will make an appearance on the June 3 filming. The winners of the Night At promotions often get to take in the local sights, have dinner, and sometimes—in the case of The United Center—meet famous personalities. 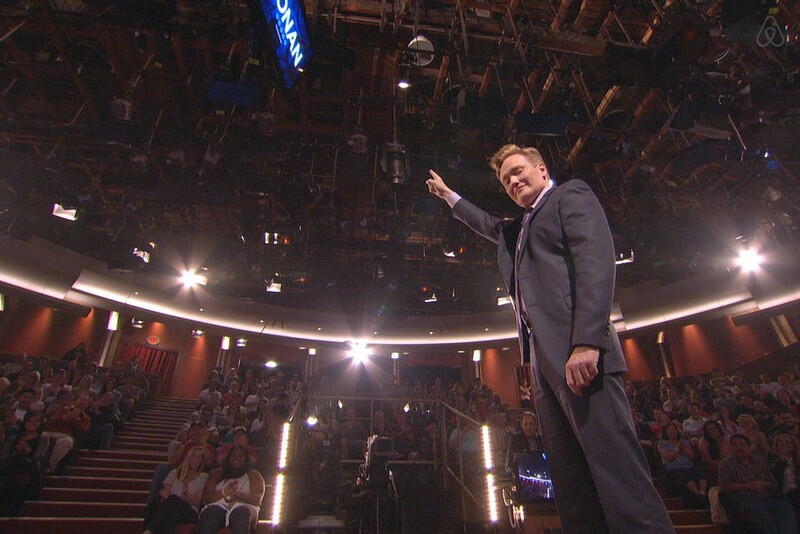 It’s likely that the winner of Night At Conan will get to meet Conan O’Brien, see how the show works behind the scenes, and meet featured members of Conan’s production crew. The Night At competitions feature dream stays at some memorable locations in AirBnB style. Previous Night At spaces include Maracanã Stadium in Rio de Janiero, Courchevel ski-resort in the French Alps, The United Center in Chicago, and the Holmenkollen ski jump in Oslo. With the summer travel season kicking off, you can expect more opportunities to jump in on A Night At competitions even if you miss out on this one.